ExxonMobil regained the top spot on the Fortune 500 this year, leapfrogging Wal-Mart. In turn, Ken Cohen, who maintains incredibly broad communications oversight for the world's top oil and gas corporation, merits this lofty position on our list. The economy will likely be the major issue that determines this year's presidential election. Gas prices are often a main barometer by which citizens judge the country's financial health. That provides Cohen an incredible opportunity to shape messages that carry great heft with various audiences. 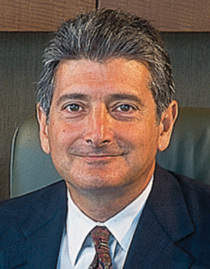 Cohen, a lawyer and lifetime ExxonMobil employee – he originally joined its legal department in 1977 – has done yeoman's work over the years in rehabilitating the company's image, which took a huge hit due to its generally perceived lackluster response to the 1989 Exxon Valdez oil spill in Alaska. In his current post since 1999, Cohen has oversight over government relations, communications, media relations, global community outreach, and corporate citizenship. He also heads the company's PAC and ExxonMobil Foundation. A willing engager of the press and public, Cohen has truly changed the dialogue for the company.